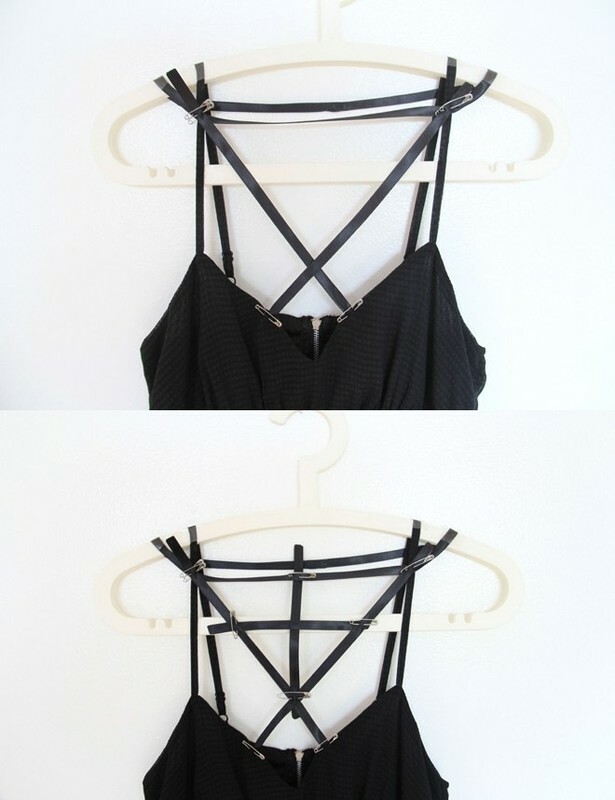 Create a cage dress from your old little black dress. 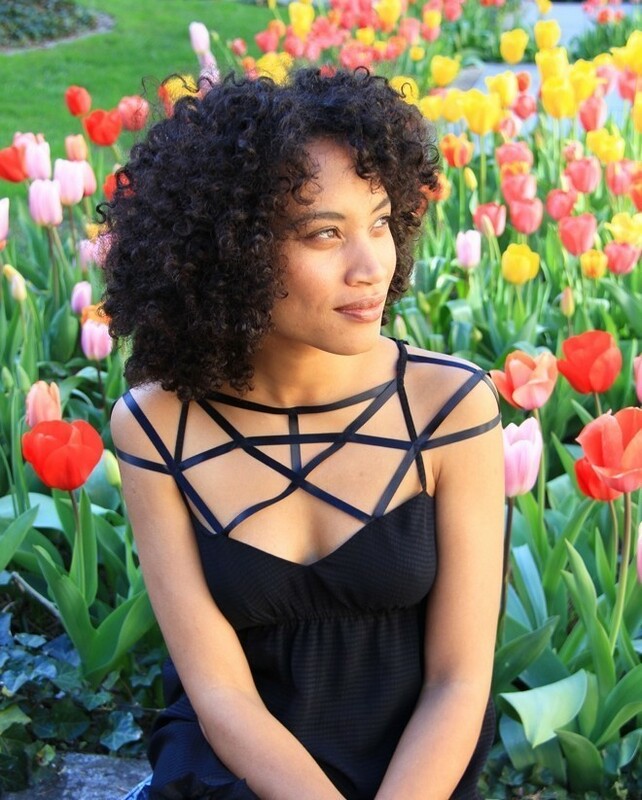 Do you have a little black dress in your closet that you haven't worn in years? I did! I decided to spice it up a little with a few pieces of ribbon and created this cage dress. Now it's perfect for a little garden party. Cut a piece of ribbon long enough to wrap around your head comfortably. Burn the ends of the ribbon and sew together. This will be your neckpiece. Pin the neckpiece in place. If you have a dress form this will be easier to pin. If not, try the dress on when pinning. Add some cross pieces of ribbon to the dress. Remember to burn the ends before pinning in place. 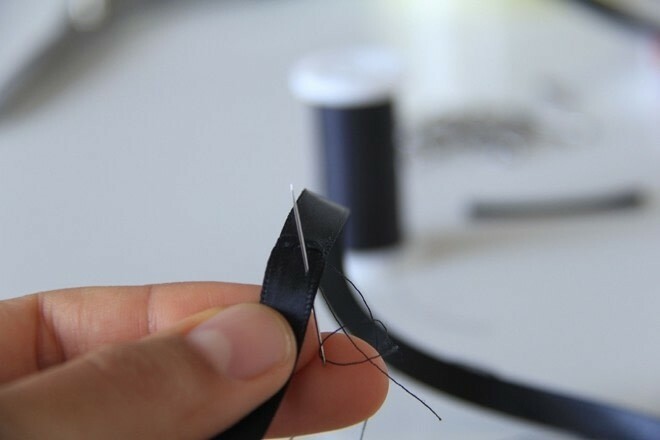 Once you are happy, sew the ribbon in place.